Charley's War Hardcover - Bk 3 now out.- BLOOD FOR THE BARON!!! Just wondering if anyone has picked up Book Two in the set yet? Johnny Red. Anyone here have any contacts with the company? Volume Two that they have on Amazon's site. Although I have noticed that the Megazine reprints have been poor quality of late, I do hope this edition is up to snuff. But yeah, greatest comic ever. Just curious, but what are the follow up articles (if any) like? lot of the historical data upon which the stories were based. Good news for those who are collecting the set! Amazon is showing listings for the third book in the series, with a release date of October 30th. No cover artwork as of yet, but if I find anything, I'll post it here. As promised, heres the blurb and cover art for volume 3 from Amazon.com. 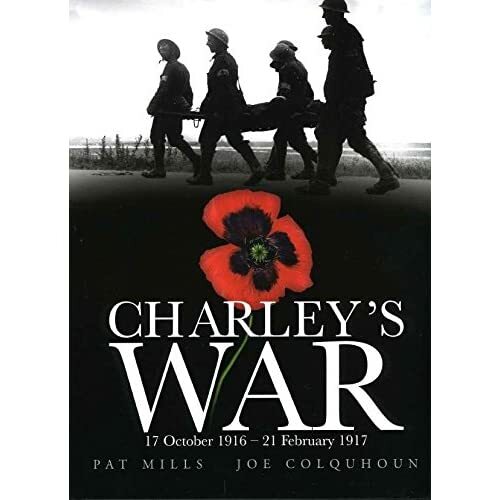 Renowned UK comics writer Pat Mills and legendary artist Joe Colquhoun continue the critically-acclaimed classic comics story of World War One soldier Charley Bourne. As the winter of 1916 approaches, Charley is caught in a desperate fight for survival against the ?Judgment Troopers?. Injured in battle, he returns home to convalesce... only to discover that the Germans have brought the war to the streets of London! 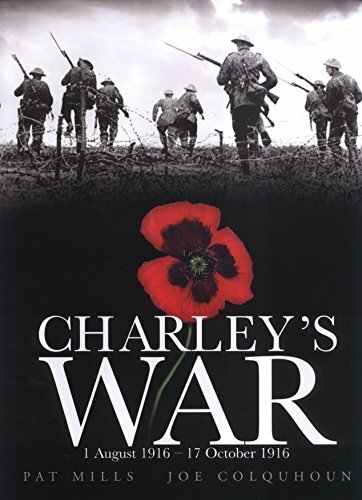 This new volume of Charley?s War features a brand new introduction and ?director?s commentary? by Pat Mills, plus exclusive extra content. Gonna have to get me one of those. Any idea of any other plans for any other releases?? Haven't heard anything new since I sent that email to them, but I'm keeping my fingers crossed. I think the way to petition more hardbook books is through the Megazine. it was during their "what shall we reprint next?" debate on the letters page that I suggested Charley's War (can't remember which issue, I got a Dredd print!!). It proved to be popular with the readers and then along came the first hardback. When they dropped the story for a few weeks there was a surge of demand and it came back. The strip is on hiatus again so I suggest a flurry of e-mails to http://www.2000adonline.com/ it looks like Titan are using that for their market research, well that and sales figures I expect.